Kristin Crowe, Co-Chair of Camp Merrywood was very pleased to introduce Jacques Schryer, site manager of the Camp, here today to share his knowledge and what it means as an Easter Seals facility. 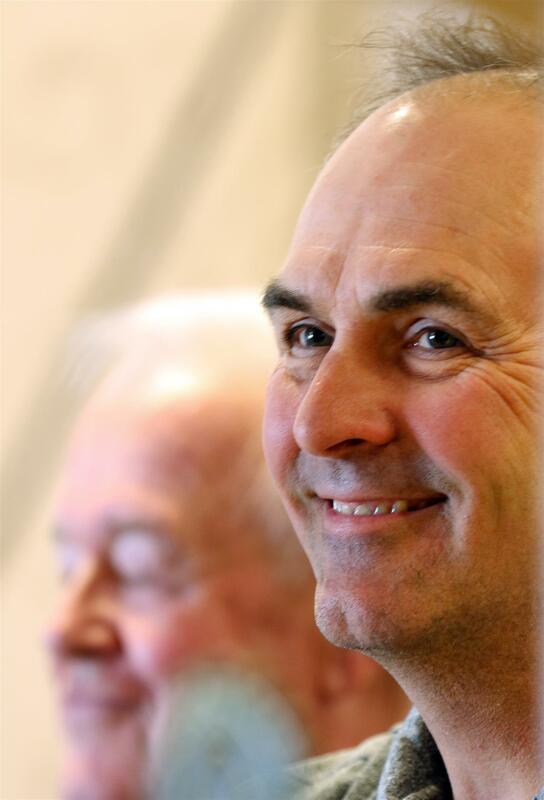 Jacques has overseen the buildings and grounds for the past 26 years, a huge responsibility. What a privilege to have him here today. Jacques thanked the Rotary Club of Belleville for all the support, for many years. Camp Merrywood would not be what it is today, a special place for all campers. Kristin's father, Glynn Reynolds organized a Rotary work weekend 40 years ago and this commitment has flourished since then. The Club provides helping hands and finances to make Camp Merrywood look better and to ensure the upkeep of the property. Easter Seals owns and operates two camps in Ontario. No child is refused an opportunity to attend camp away from their home at a cost of $200 per child. The staff are wonderful and give of themselves to meet families at the airport in Ottawa or in the home town of the camper to assist with the transition to camp. 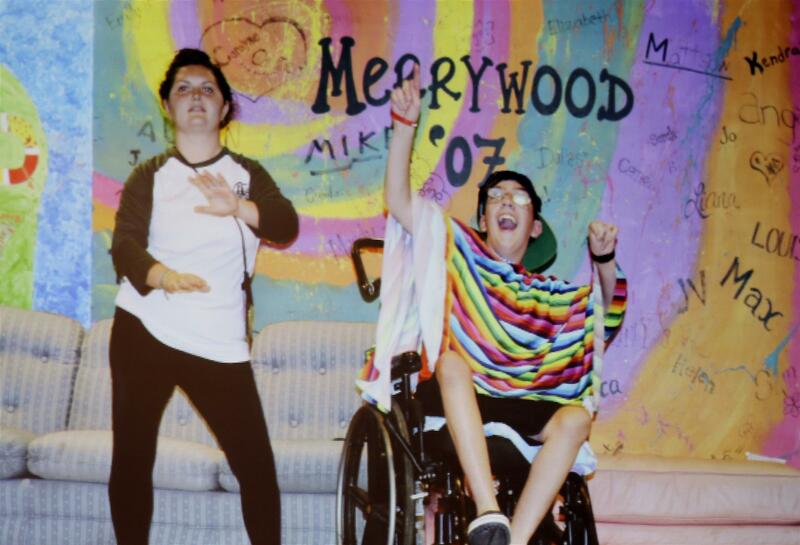 Camp Merrywood is a great place where children can be independent in an environment adapted specifically for them. The Rotary Club has continued to support Glynn's vision through funding, organizing and co-ordinating the Camp Merrywood work weekend. The campers are always excited to see changes from year to year. It is their home away from home. Every year, TAS/Alarm Systems ensures the fire alarm system is checked spring and fall. Lawn furniture is purchased. New steel roofs installed. Painting of cabins and other buildings. Toilets upgraded to more efficient models. Laminated flooring installed in the cook house. Annually there are 72 campers supported by 69 staff members, 6 of whom are RN's who attend Camp Merrywood for a 10 day session. They host a special Family Camp where parents come with able and disabled children to enjoy the outdoors and receive support in a camp setting. There are specialized sail boats and big kayaks. Archery, wheelchair races and even a 5 day canoe trip to Algonquin Park. The smiles are the rewards! Jacques extended an invitation to everyone if they are passing through or want to visit the camp to come and see all the work of Rotary. He is looking forward to working with Tracy Bray and Shannon Neely next year as Camp Merrywood Committee Chairs, taking over the reins from Vince Lynch and Kristin Crowe. (pictured L to R: Vince Lynch, Tracy Bray, Jacques Schryer, Kristin Crowe and Annisa Bray and Juan in the front row). the kitchen crew -- Doug Peterson, Dave Albert, Bernie Ouellet, Wayne Dewe. They are an integral part of the weekend and define fellowship. Youth presence was very much appreciated -- Karen Baker's son and daughter were there, Tracy's daughter Annisa with some friends, Shannon Neely's boys, Dan Dickinson's boys Ian and Ben as well as Alan Kelly's daughter. And our own Rotary Exchange Students Juan who outdid himself and Maddy Lamer who is heading to Denmark for her exchange program in the Fall. Maddy had done some research on Camp Merrywood with her application to be considered as a Rotary Exchange Student and was very excited to actually see the camp and be part of the work weekend. Kristin and her clan of 14 relatives and friends, including Brady were an enormous contribution. Kristin is an inspiration to us all and as far as Vince is concerned, the best Co-Chair in the world. Kristin formally thanked Vince for his leadership over the past 10 years since her dad passed away. Someone needed to step up and it has been an amazing experience. The Club budgets $9,000 to $10,000 annually towards Camp Merrywood and requests are sent to the Walter Thomas Elliot Foundation that usually contribute $3,500 to $5,000 towards that annual commitment. Kristin said it was a pleasure to work with Jacques and officially handed off the chairship of Camp Merrywood to Tracy and Shannon. Connie Reid mentioned some special moments one being the injury sustained by Brian Bentley on the woodcutting crew that ended up as a hospital visit and treatment to follow, the poker boy stars in the kitchen and the music provided when the work was done by Ian Dickinson (on keyboard) and Ben Dickinson (singing). A big thank to everyone and a WOW to the kids who get to go to Camp Merrywood.